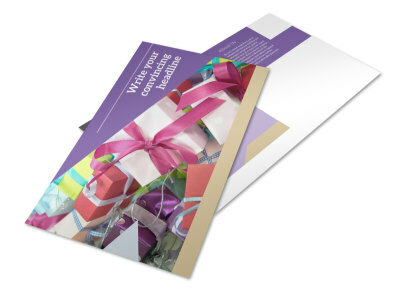 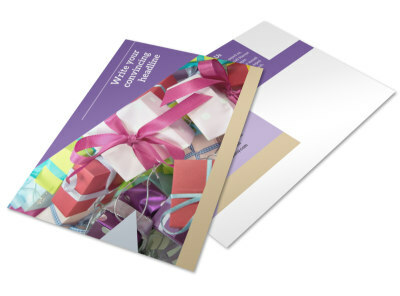 Customize our Gift Shop Brochure Template and more! 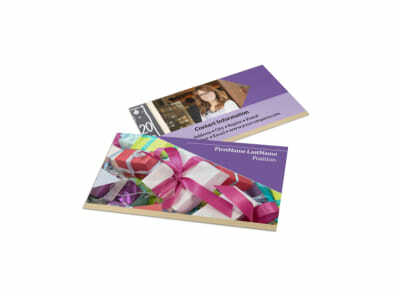 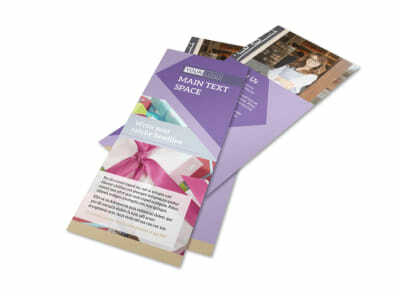 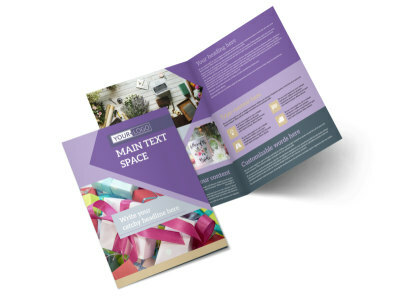 Give shoppers an overview of what you offer with gift shop brochures customized using our online editor and templates. 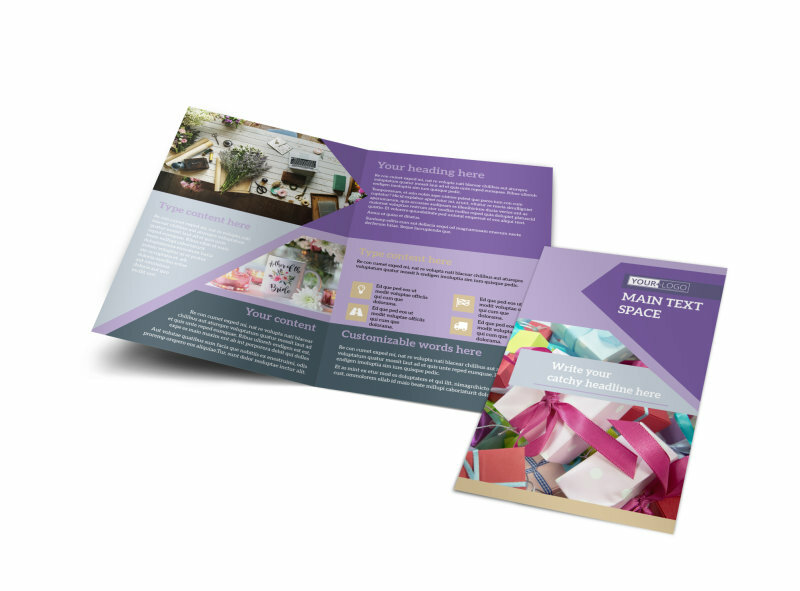 Use every fold to help shoppers see the benefits of patronizing your store, any sales you have going on or promotions being offered, along with a coupon for a dollars-off deal. 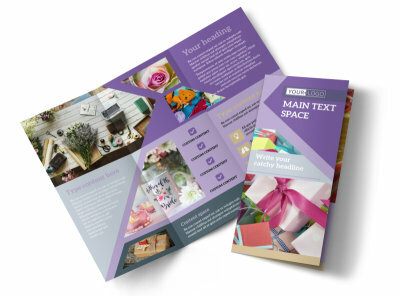 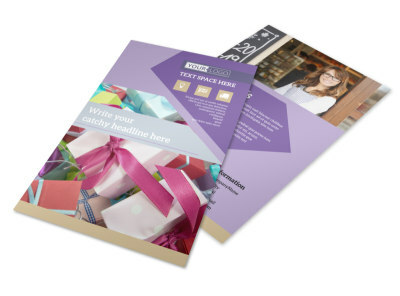 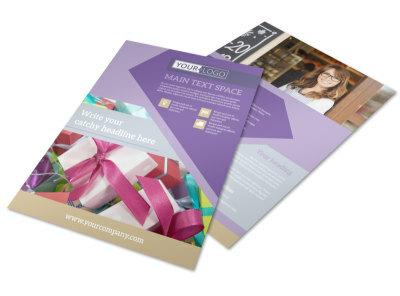 Print your brochures from your own location to get them in customers' hands quickly.